Matica is named after an island in the Caribbean, reflecting the fact that this beautiful yacht is likely to spend much of her time in warm and exotic climates. At just below the 200 GT mark with the maximum volume possible, Matica offers you a wide range of benefits. Her hull is based on the well-proven hull of the Moonen 97, ensuring very comfortable seakeeping behaviour and low fuel consumption. Her steeper bow gives a narrower waterline entrance and a longer waterline, further increasing comfort at sea and fuel economy. The limited draft and well protected propellers make Matica ideal for shallow waters. 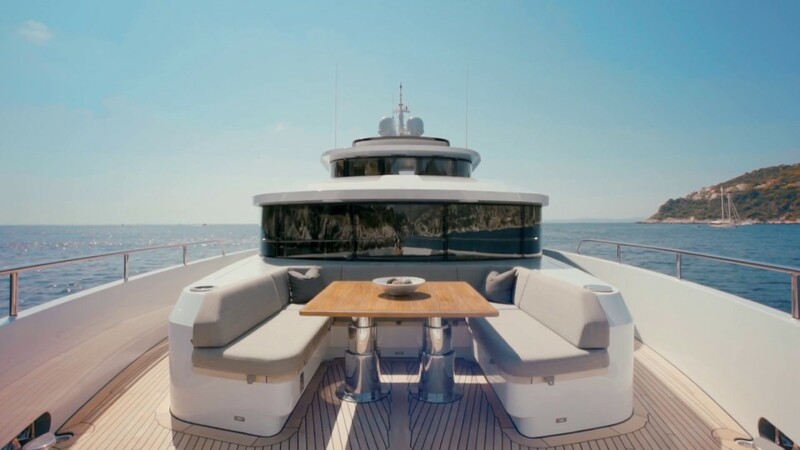 This in turn makes the yacht ideal for sailing in the Caribbean and other areas where you are sure to devote your time to enjoying the al fresco life.